It was Friday night and I just walked out of the synagogue. When I am at services time stands still. We recite the same words we have reciting for thousands of years, and in the same tune. There are no e mails, no whatsUp, no headaches, time stands still. Even thinking of business is forbidden, for a very good reason. Peace. Shalom. The Sabbath peace. I am delighted to see my friend Shmuel who just concluded services at the synagogue next to mine, we chat a while as we wait for Eliyahu. Always nice to have someone to share the walk home. "How are things?" He asks, "Did your group go home?" Yes, the Tour and Train group, a truly wonderful group has gone home and now it is recovery time, quiet time. I tell Shmuel it was a very successful group and I hope I managed to maintain the image of tranquility in the face of daily challenges; flights delayed, connections missed, misunderstandings about rooms, wifi, air-conditioning, arranging daily food, changing bus schedules etc all while trying to teach techniques that will save lives and conduct inspirational tours. So Shmuel says to me, "But you are the Grand Master and the Grand Master is always calm, nothing can disturb the tranquility". Not sure if he was joking. Two stories come to mind. My dear friend, a rabbi from Los Angeles, is visiting Israel. I have the honor of driving him around Jerusalem. He tells me of his inspirational meetings with leading rabbis; he discussed mysticism with one rabbi, delved into the secrets of esoteric writings with another. He heard a Talmud lesson from an aged rabbi. He is high on spirituality. The rabbi has not done any of these things, he lost himself in the excitement of his spiritual quests. His wife is, well, hard to put into words but he asked me to leave at that point. He said there are certain things the disciple should not see. Many years earlier I went to see another rabbi, one of the great rabbis of Jerusalem. I was a young man and had been going through some spiritual troubles, I needed some guidance. I can picture like yesterday sitting in his office while waiting for him to conclude an phone call. I heard a lot of "Oys" and the phrase "Agmas nefesh", the Hebrew/Yiddish expression for untold aggravation. Now I understand, the rabbi was personally responsible for an international organization, its funding, paying countless bills, reaching out to donors. Of course he faced untold aggravation. He concluded his phone call and said, "How can I help you?" He helped me more than I knew at the time. He was a true master of life, of reality training. The truth is that reality is harsh, we will get hit, we will suffer some blows, we will feel pain and aggravation. No one is above this. The monk may seem tranquil and at peace but when he hears, "Visit to the temple are down 40% from last year, we can't pay our bills!" he may not be so very tranquil. But we adjust. We face these problems, accept these problems and then deal with them. We do not deny the aggravation, we do not deny that it affects us, but we deal with it. During the recent trip there were many surprises, not always pleasant ones. A change of plan was called for, extra expenses. The clock is ticking, an executive decision must be paid. That is life. That is truth. 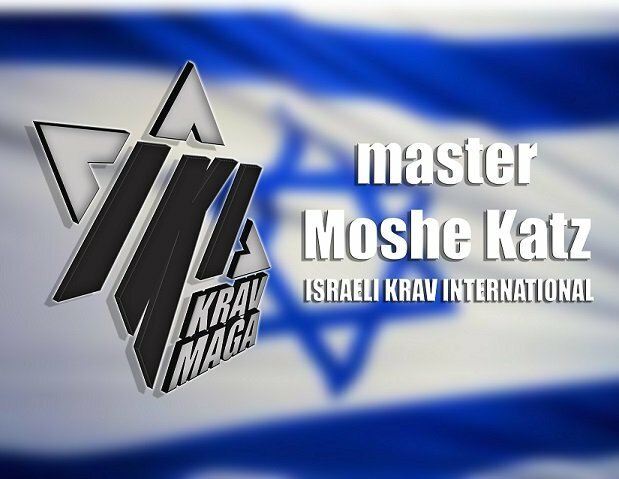 And so it is with Krav Maga self defense. Things do not go as planed so we keep things simple, and we adjust and adapt while sticking to our concepts. Fancy moves are out, this is reality. We will be caught by surprise, our plans will be disrupted, and we must train accordingly. This is the truth, even a great spiritual leader will face aggravation, no one is above it, but we face it with a relaxed calm, we know we can handle it. We are ready for this. The rabbi in the second story has passed on but he left a multi story building facing the site of the Holy Temple of Jerusalem. In it thousands of students from all over the world study the holy books daily, money is not a criteria. Yes we face aggravation, Agmas nefesh, but we know how to handle it.